Mount plywood, shutters, or panels in seconds with hurricane kits from The Hillman Group. 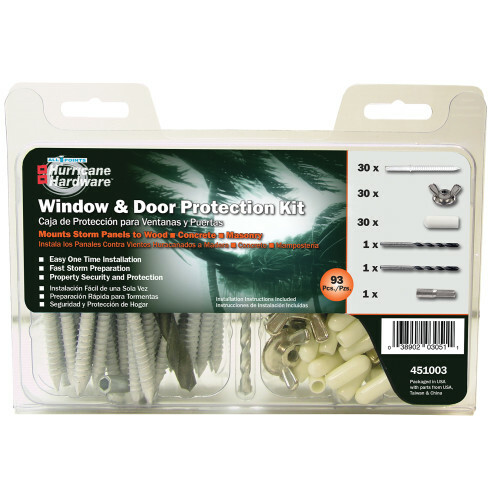 Parts in these kits offer lasting window and door protection after just a simple, one-time installation. For optimal performance, pilot holes for anchors should be a minimum of 2" from the edge of masonry/concrete openings to be covered. Anchors should be a minimum of 2" from plywood edge. Anchors should be installed at 12" on center for 5/8" plywood. 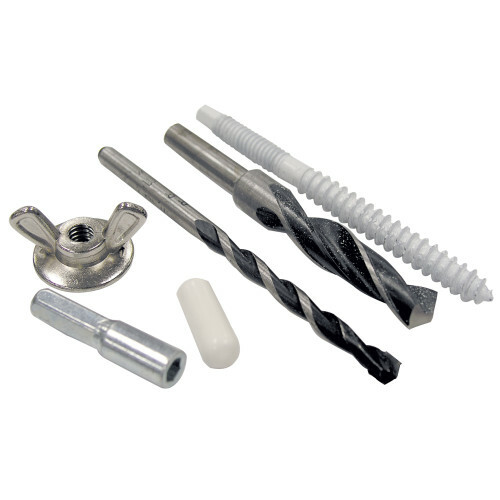 For masonry/concrete applications, drill hole 1/4" deeper than anchor will be installed.